I finished 6 of the 8 series I wanted to finish this year. 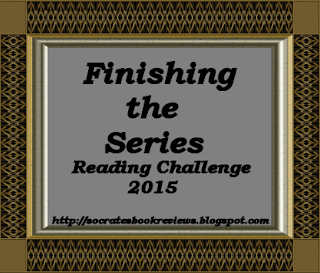 I didn't get the chance to pick up with the James Bond series by Ian Flemming and plan to read those in 2016. I called it quits on the Belador series by Sherrilyn Kenyon and Dianna Love. I didn't realize it was turning into such a long series and I just didn't think an extended series could keep my attention.